Ramadan Mubarak! Here is some recommended Islamic reading for Ramadan or anytime. This new version of Zawaj.com is still in development phase and is actually not “open” to the public yet – that’s why the matrimonial search form on the home page doesn’t function yet. We will formally introduce it within a week or so Insha’Allah. I’m thinking of Friday, August 28th as the likely target date. But the site has already been indexed by the search engines and some of you are finding your way here, so so I thought I would give you folks something productive to do with your time, ha ha. 1. An Interpretation of the Qur’an : English Translation of the Meanings : A Bilingual Edition (Majid Fakhry) – I have this and I read it often. It’s an excellent, modern and scholarly translation. If you’re still reading Yusuf Ali’s poetic but archaic translation, it’s time to check out something different. 2. The Qur’an : A New Translation (Dr. Thomas Cleary) – I would have listed this first except that it’s in English only. The language is modern and clear, yet retains some of the powerful poetry of the Arabic. I highly recommend it. 3. Muhammad : His Life Based on the Earliest Sources : Revised Edition : Martin Lings (Abu Bakr Siraj Ad-Din) – All-time best-selling book on the life of the Prophet (pbuh), now the latest revised edition. You may have read some of the briefer Seerahs (biographies of the Prophet Muhammad) such as The Sealed Nectar of The Life of the Prophet Muhammad, but you have not experienced the breadth and depth of Muhammad’s (pbuh) struggle and indomitable character until you have read this book. 4. Forty Hadith, and Forty Hadith Qudsi – these are brief but fundamental. Read one or two each night and discuss them. 5. 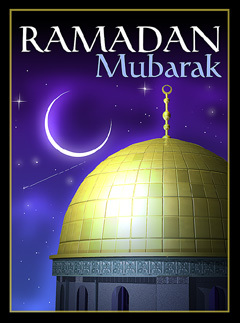 Ramadan: Motivating Believers to Action – Ramadan is not just a month of fasting, but a month of spiritual healing. Presented from an interfaith perspective as a means to motivate believers to action, the articles by such famous writers as Muhammad al-Ghazzali, Shaykh Abdul Qadir Gilani, Imam Jawziyya, Ibn Sirin, Seyyed Hossein Nasr, Maulana Mawdudi and Laleh Bakhtiar include essays on both the Law and the Way. 6. Purification of the Heart : Signs, Symptoms and Cures of the Spiritual Diseases of the Heart – Translation and Commentary of Imam al-Mawlud’s Matharat al-Qulub (Shaykh Hamza Yusuf). 7. The Fundamentals of Tawheed (Islamic Monotheism) Dr. Abu Ameenah Bilal Philips – A Muslim should be familiar with the basics of Tawheed, which is the fundemental principle of Islam. This book presents a detailed explanation of the classical Islamic concept of God’s unity as it relates to faith and acts of religious devotion. Well, as you can see my preference is for more scholarly works, but you can find all kinds of good stuff at IslamicBookstore.com, including children’s books, movies and CDs, and toys. I have been shopping with them for several years now and I’ve always been satisfied.